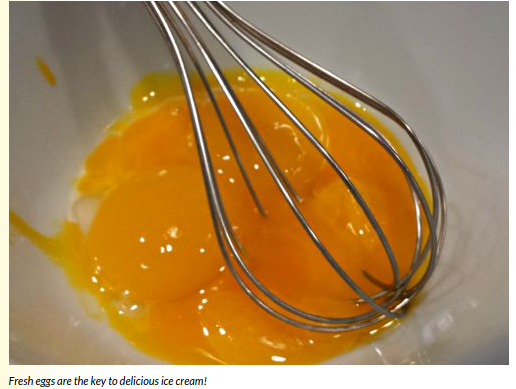 Now that you raise backyard chickens, you really owe it to yourself to start making homemade ice cream using eggs fresh from your chicken coop. 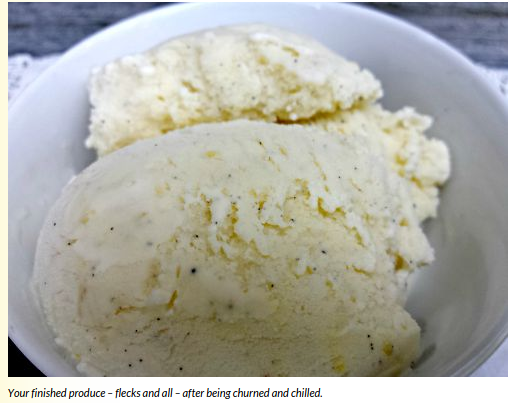 This basic vanilla bean ice cream recipe is the perfect one to start with. It's quick and easy, and can become the base for a myriad of other ice cream flavors simply by stirring in some add-ins such as fresh or frozen fruit, nuts or chocolate pieces. 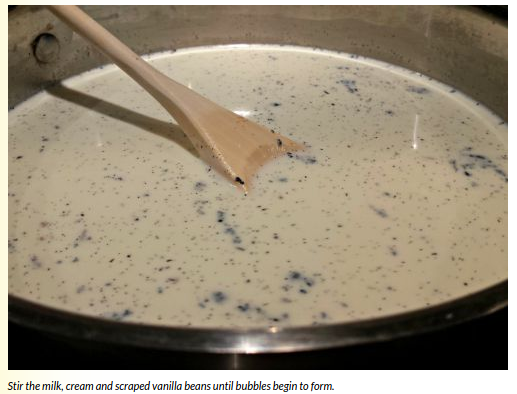 Whole vanilla beans really are necessary for this recipe since you really want those flecks in your finished product! Plus, your fresh eggs really deserve the rich, deep vanilla flavor that comes from the vanilla beans as opposed to vanilla extract. 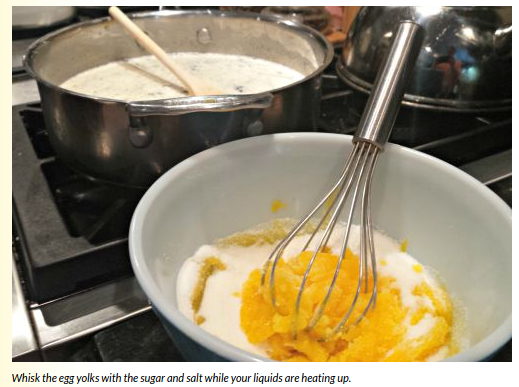 Simmer the milk, cream and vanilla in a saucepan over medium-high heat just until bubbles begin form around the edges. Remove the pan from the heat, cover and let sit for ten minutes. Strain the liquid through a mesh strainer, being sure to press the vanilla bean flecks through the mesh, discard the solids and return the liquid to the pan. 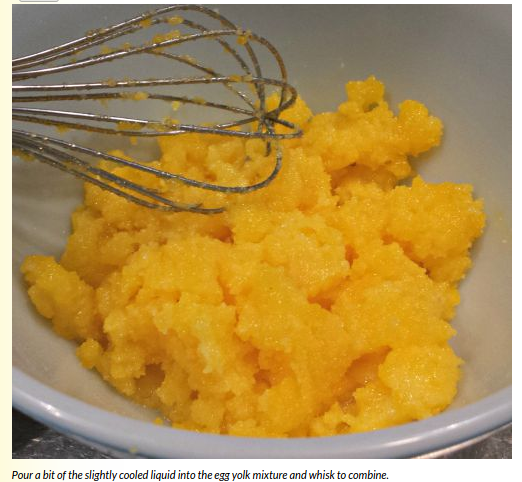 Meanwhile, whisk the sugar, salt and egg yolks in a medium bowl. Slowly add some of the warm milk mixture to the egg mixture, whisking to combine, then pour the mixture into the saucepan with the remaining milk mixture. This needs to be done so the egg doesn't curdle. Continue to cook the mixture for two minutes over medium-low heat, whisking constantly. Remove from heat. 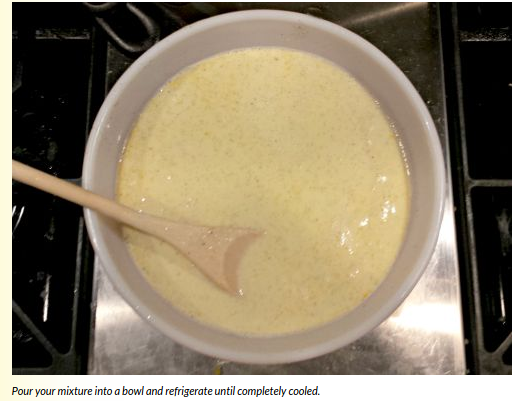 Pour the mixture into a bowl, using a spatula to get all the flecks out, and refrigerate until completely cooled. Once cooled, pour into your ice cream maker and follow the manufacturer’s instructions. (My machine takes about 20-30 minutes to reach a soft-serve consistency. If you like this recipe, also check out my recipes for Homemade Mint Chip Ice Cream and Spiced Pumpkin Ice Cream with Candied Ginger. 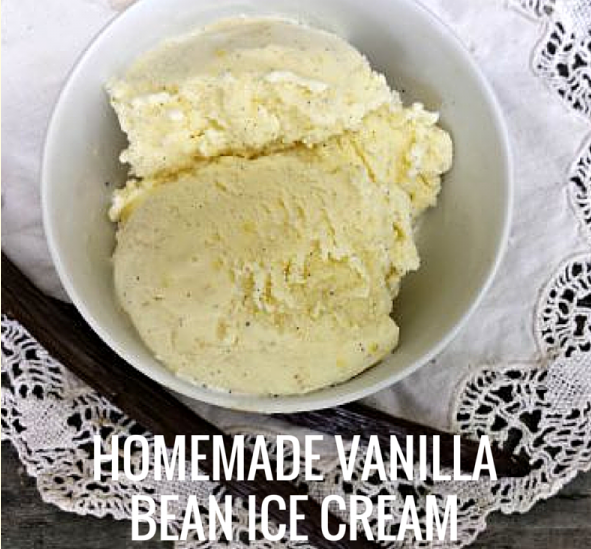 Homemade vanilla bean ice cream using fresh eggs and cream couldn't be easier nor more delicious. Once cooled, pour into your ice cream maker and follow the manufacturer’s instructions. My machine takes about 20-30 minutes to reach a soft-serve consistency. Then I transfer the mixture into a regular loaf pan, cover it with plastic wrap and freeze it for several hours.